We all have a smartphone these days, but whereas it used to primarily be a way of keeping in touch at all times, the role of our phone is very different today. Wherever you look in a public place, you don’t see people talking, you see them playing games. According to a recent report, The Commuting Gamer: Gameplay On-the-Go, by the Entertainment Software association, the phone is now a gaming platform first and foremost for many commuters, and allows them to get through their daily commute without having to stare out of the window, read a book or engage with other travellers unless, of course, they’re playing a multiplayer game. 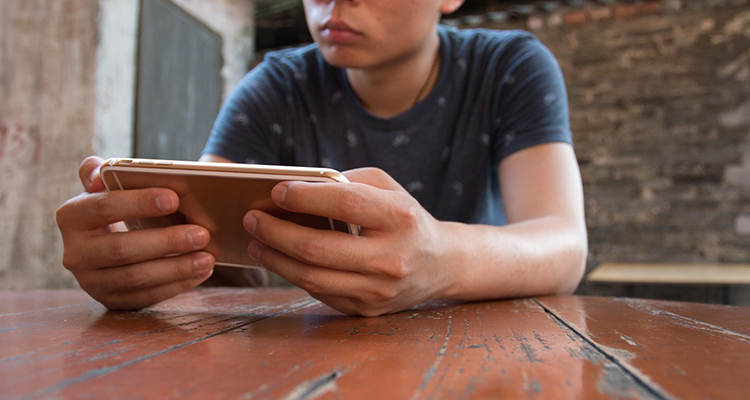 In fact, the report states that gaming is such a priority that 70% of gaming commuters consider device support for gameplay as a priority when they shop for a new phone or tablet. What type of games do commuters play? The ESA report states that gamers play at least two different gaming genres during one commute – so clearly we all enjoy variety. Puzzle, word and trivia games were the number one choice for 38% of the survey respondents. Some games are undoubtedly more suitable for playing in a crowded train carriage or on a busy bus than others. Ideally people want games that where they don’t need to worry about getting distracted and making the wrong decisions in a game. This explains the popularity of puzzle games. However, now that casino sites such as 32red, Royal Vegas and Caesars offer mobile casino gaming options, commuters also have the option of playing for real money on the move. And while you might not consider settling down to a game of poker while taking the bus to work, playing one of the roulette games from 32red is a different matter. Roulette is a game that depends on chance (simulated by RNG), so it can be played in a crowded noisy environment as easily as in the quiet of your living room. And, depending on the game chosen, with a potential return of up to 38-1, roulette is one of the most rewarding casino games out there. Commuters play on their phone 80% of the time. This is not that surprising since few of us would leave the house without our phone. The second most used devices for commuter gaming were tablets (43%). People who enjoy gaming on their commute are willing to pay for upgrades or game enhancements. The average monthly spend is around $30. As well as playing on the move, 95% of those commuters surveyed also played games at other times. The main source of information for choosing to play a particular game on a commute was through word-of-mouth recommendation (43%). Of course, not every commuter is going to play video games on their journey, and probably not every gaming commuter spends their whole journey time playing. But when you think about it, gaming is a great way to help you wake up on your way in to work, and also a fantastic antidote to stress at the end of a busy day, when you just feel like zoning out.